Whether for leisure or work, we have you covered with the trucks everyone raves about at your local Ram dealership Long Island, NY. 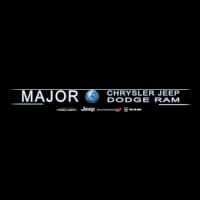 From the iconic Ram 1500, heavy-duty Ram 3500, or to the Ram ProMaster for your business needs, Major World Chrysler Dodge Jeep Ram has a broad selection to choose from. Contact us today to schedule a test drive. From Eastchester roads to the dirt paths of construction sites, you can’t go wrong with a vehicle from the RAM lineup. If your looking to add to your business fleet, check out our commercial vehicles and find out more about the RAM BusinessLink. Our loyalty as your Ram Dealership near Long Island doesn’t stop after your vehicle purchase. Follow us for more helpful information from important service tips like when to schedule an oil change, to ways of upfitting your Ram ProMaster, down to the best pizza in Queens.